How will the new creation compare with the old? Maybe something like this. 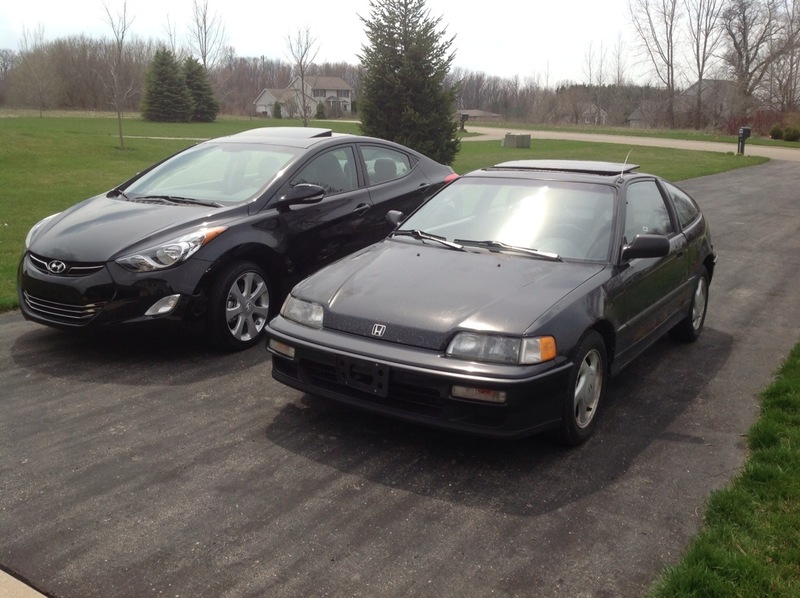 Update: I just sold the old one to a fellow who lived in my hometown in Ohio, so that makes me happy. I don’t know the right way to say this, but now my wife is the person/thing I have lived with the longest. Dude!!! You’re not replacing that old car of yours, are you? How sad. You’re really young to be in a rut. Actually… I am now a Honda CR-V owner !! This is a sad day, at least according to Cars 2. I don’t mean to be in a rut, they just didn’t have the color I wanted. I am going to try to sell it this week–may be hard with a leaky head gasket. If no takers it will be in the junk yard in the sky (just off Alpine Ave.) by Monday. By the time this one is 20 years old, you will be ready to join Gary in retirement. Well, I for one, feel honored for having ridden in the GRTS Mascot! Having driven one Honda into the junk yard in the sky (only 274,000 miles), we still have one in the stable with over 100,000 on it. I can see my 5 year old driving it in high school!